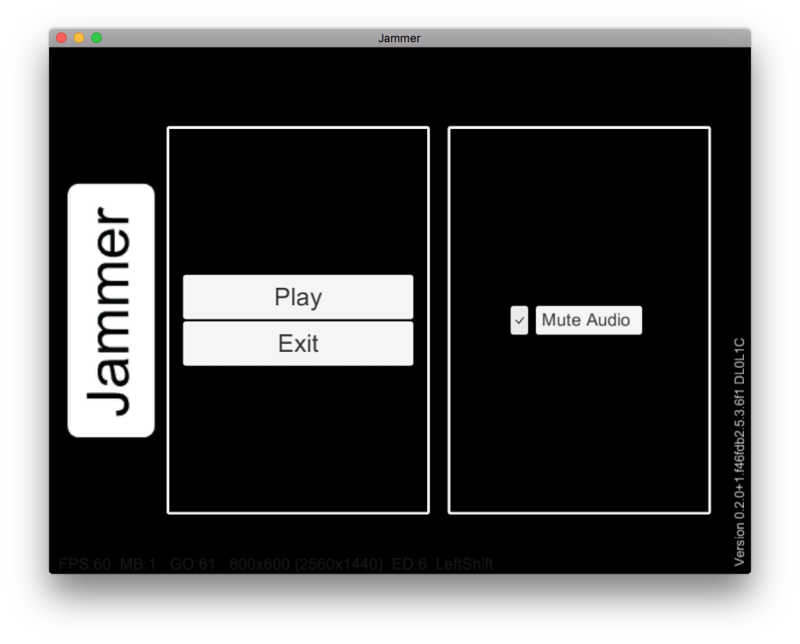 Unity game jam template with just enough structure to ease moving past the jam phase. Take a look at the feature list to see if this project will work for you. This is a work in progress. The following features need to be added or wired up. Single scene or multi-scene game support. Play testing can be started from any scene to speed development. In-game debug console for logging and input. Use KeyCode.BackQuote to activate. Code based tweening used when appropriate as an alternative to Mechcanim for maintainability. Several free and open source vendor assets are included. Most game types will benefit from all of these vendor assets. None are required and can be removed by deleting the appropriate folder from ./Assets/Plugins/Vendor. All can be redistributed with your source. Cleaning up your game after the Jam? These non-free assets should will make any Unity Dev happy. Alas, you can’t redistribute these asset binaries or source so they are NOT included in this toolkit but they are highly recommended for post jam updates. Unity and vendor assets want to control their own line endings. This mean that turning off git’s autocrlf is the path of least resistance. NOTE: You can play test from any scene while in the IDE. UI and managers will be loaded on awake regardless of which scene is currently being edited. The menu system. It is in its own scene instead of a prefab so that the menus can themselves, be constructed of prefabs. It is loaded dynamically when needed and stays in memory for the entire session. Make a copy in the ./Assets/tmp folder (ignored by git) for editing prefabs without scene churn. i.e. The audio engineer can work with audio system prefab with runtime access to full game. Apply prefab changes and toss the scene. 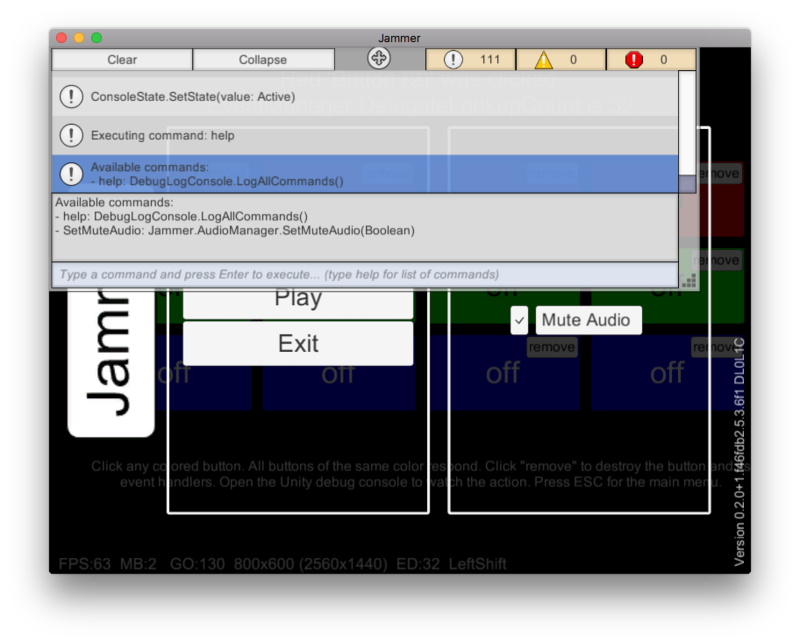 This template uses a JSON serialization system as an alternative to Unity’s player prefs. Game saves and custom game configuration settings are located in a platform specific folder in standard JSON format. Different locations are used depending on the build type. Save data is stored in ./tmp/settings. This allows development settings to be different than production. i.e. turn off the audio when working in the IDE. Save data is stored in ./tmp/test. This allows the test suite to easily mock serialization data. Compiler defines conditionally control compilation. To use, add then to Unity’s Player Settings, Other Settings, Scripting Define Symbols. The letters [D] denote strings shown at runtime with the games version. This helps determine what defines were enabled for any given build. Controls misc debugging functions. Strips Verbose and Debug logging when missing. Enable LogLevel debug. Requires JAMMER_DEBUG otherwise debug logs are stripped out. Enable LogLevel verbose. Requires JAMMER_DEBUG otherwise verbose logs are stripped out. Setting verbose doesn’t set debug. They are separate options. Shows the debug overlay stats line on all screens. The NUnit test framework is included in Unity 5.3 and higher. Tests require installation of the UnityTestTools asset for Unity 5.2 and lower. This command will watch for file changes and automatically run the unit test suite. The Unity IDE can be running. Do you use Vim instead of MonoDevelop/Visual Studio? 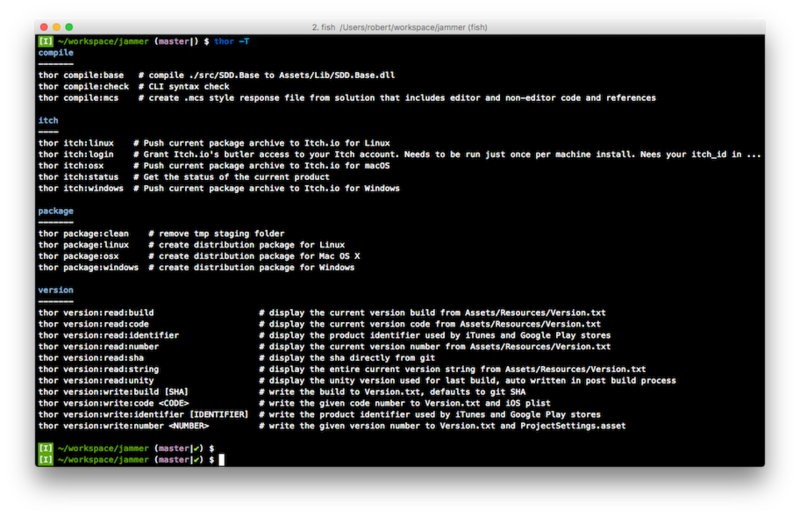 Omnisharp for Vim is good, https://github.com/OmniSharp/omnisharp-vim but it has a few issues on macOS. I disable Omnisharp’s syntax checking and use Neomake and self parsed solution files. NOTE: See tasks/README.md for thor setup.